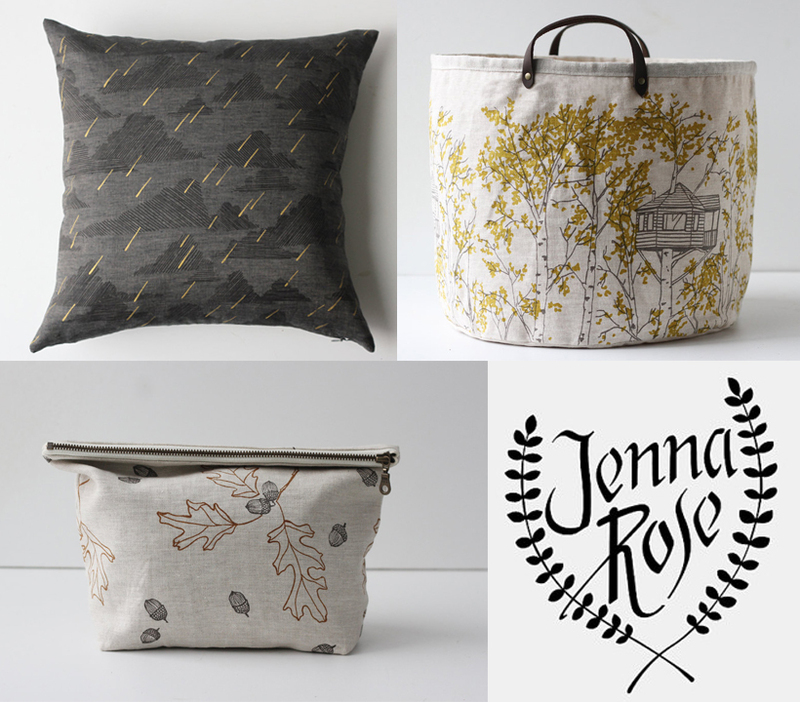 Jenna Rose Handmade creates the most wonderfully outdoor inspired home goods and accessories. All of her textiles are uniquely hers and screen printed in the perfectly complementary colors, before being turned into a hand bag or her signature bucket catch-all. I actually have two of her buckets that I use as knitting project bags around the house. I am just in love with her new acorn printed designs which feature a little touch of metallic shimmery gold! Truly any peice from her shop would make a perfect autumn addition to your home, or your favorite outfit! One Response to "Fall for Jenna Rose Handmade"